Already, the digital market is brimful with different types of Linux Distros. There are many, to name a few, Kali Linux, Ubuntu, Arch Linux, TailsOS, PartedMagic OS and many more. 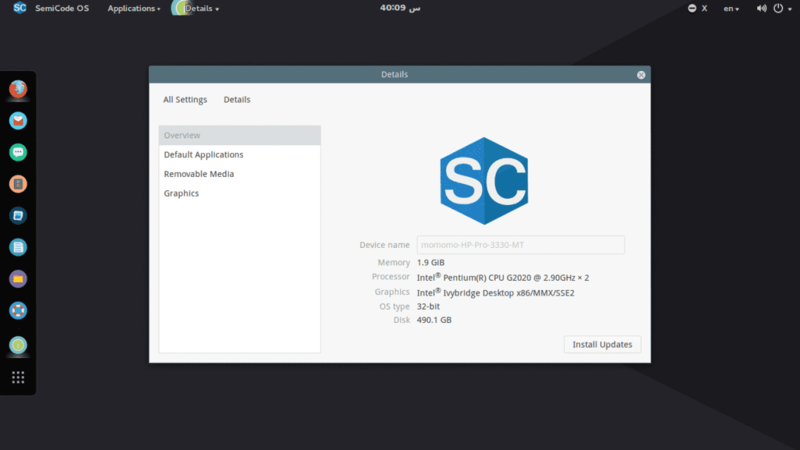 Few days back, Linux Family welcomed a newcomer, SemiCode OS, made by a Sudanese developer team. 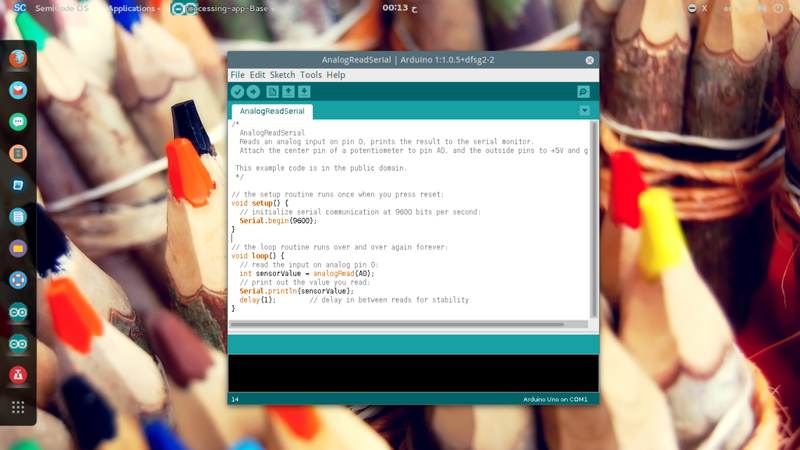 SemiCode OS is a new Linux distribution developed specially for programmers and web developers. It is based on Ubuntu 14.04, it uses the familiar GNOME desktop environment and comes preloaded with a good selection of developer tools. Completely user-friendly and built on popular desktop environment GNOME, SemiCode OS currently uses Ubuntu 14.04 software repositories. SemiCode OS comes preinstalled with a bunch of IDEs, compilers, text editors, etc. Leaving you in no stress. No need to download and install each and every tools seperately. In-builts are: Eclipse, MonoDevelop, BlueFish, Atom, Ninja IDE, Brackets, Emacs, and Sublime Text etc. It also has preinstalled and preconfigured LAMP stack. 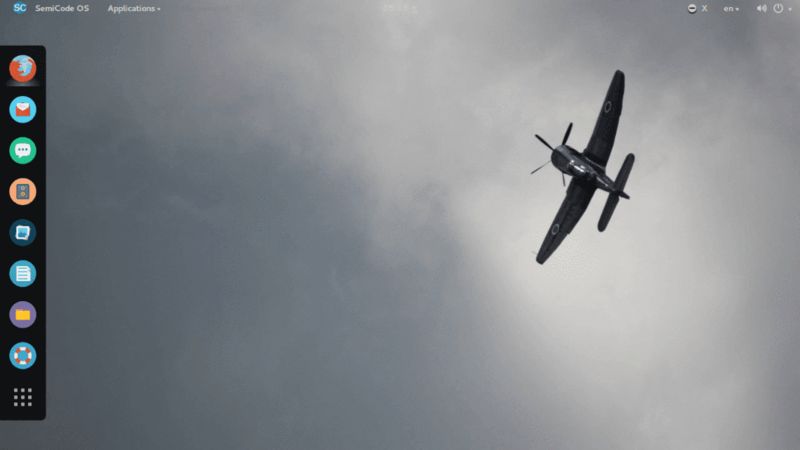 Compilers at your disposal: Ruby compiler, .NET with Mono Runtime, OpenJDK for Java. Integrated with Git and Slack desktop clients. 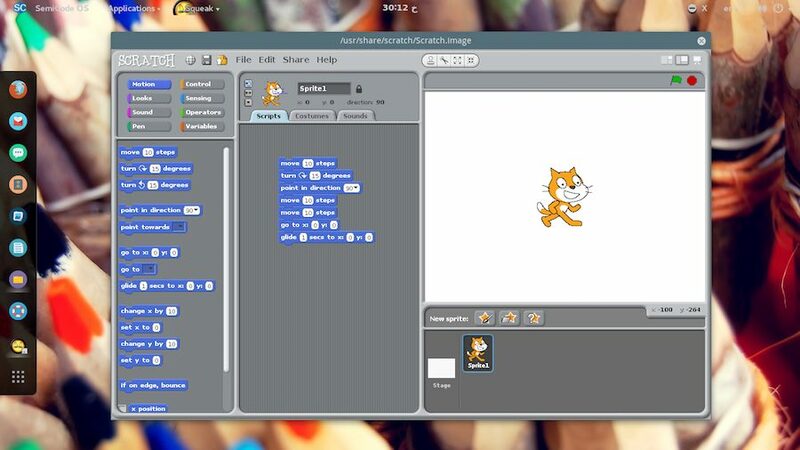 It also has the Scratch IDE made by MIT, USA (Massachusetts Institute of Technology) to help learn coding from beginning. Sarah, SemiCode’s own virtual assistant. Alike Cortana or Siri, it also acts the same. 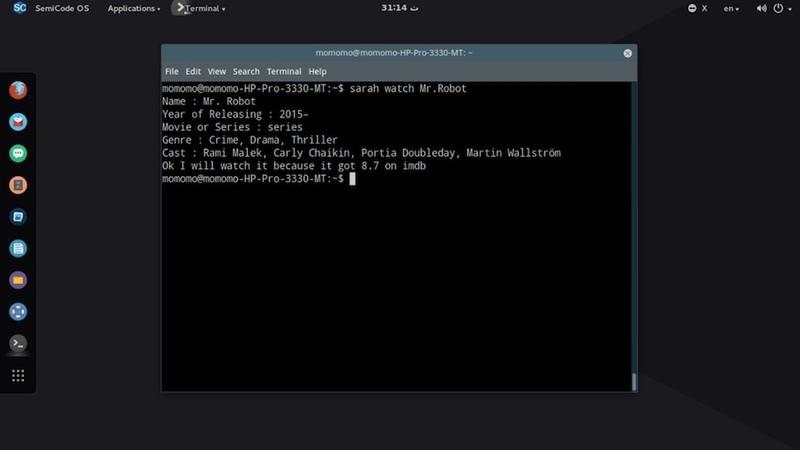 You can reach her through Linux Terminal and command her to tell information about movies, songs, lyrics, or simply ask the weather forecast. SemiCode OS respects user’s privacy. 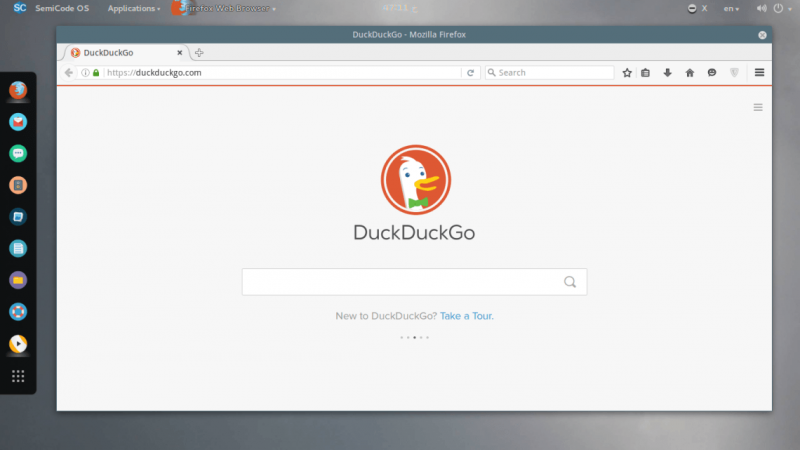 Integrating DuckDuckGo with browser as the default search engine. 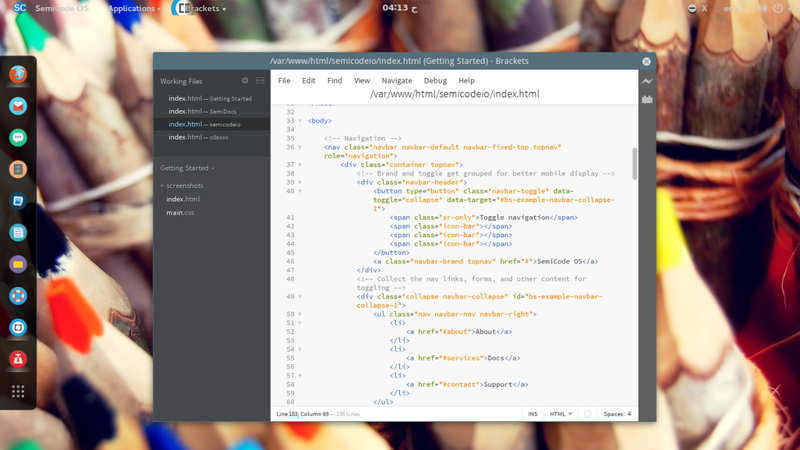 Being an OS dedicated to programmers and web developers, it’s cool, has a well-polished UI, ease at use. It’s worth giving a try! SemiCode OS Beta v0.1 is ready to download. You can find the download links here. Did you find SemiCode OS exciting? Don’t forget to drop your feedback in the comments section below.